Below are two examples of stories that use a Heroine’s Journey arc. 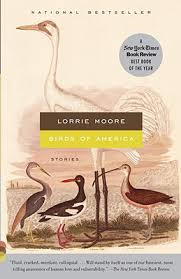 The first, a Russian folk tale follows Maureen Murdock’s heroine’s journey arc; the second, a contemporary short story by Lorrie Moore follows Victoria Schmidt’s heroine’s journey. In this Russian folktale a king is captured by an “Accursed King” and the Queen sets out to rescue him. Knowing that the Accursed King will take her as his wife if she goes as herself, she disguises herself as a harpist and sings so sweetly outside the Palace of the Accursed King that he invites her/him in and then promises her/him a favor. She/he asks for one of his prisoners and when the favor is granted picks out her/his husband, the king, who does not recognize her. They return separately to the palace. The king berates the queen for not trying to help him until she reveals that she was the harpist and the king realizes that his wife is smarter than most of his subjects and perhaps himself and will from that day forward be co-ruler of the kingdom. This plot of this tale follows the heroine journey arc developed by Maureen Murdock. For more information on this arc, click here. Queen’s husband leaves for adventure and is captured. Queen must leave her role to rescue husband. Queen dresses up as a man in order to avoid being raped or robbed on her upcoming journey. Queen goes to rescue king and must sing and play harp to get inside Accursed King’s palace. Accursed King is enchanted and grants her a favor. She asks for a prisoner and Accursed King gives her back her husband. Her husband appreciates what singer has done to help him, but thinks Queen is a commoner. On the way back, Queen realizes husband does not appreciate what she has done and does not realize it is she who has rescued him. Queen and King separate, queen arrives back at castle before king. Queen sheds her disguise and becomes queen again. Husband curses his wife for not coming to his rescue. The Queen plays the harp to show her husband that is was she who saved him. The wife demonstrates to her husband that even though she’s a woman she’s strong enough to save him, and that rescue did not require force. She assumes the role of queen again but now rules as an equal with her husband. Abby Mallon is dissatisfied with her marriage and stunned by a promotion at work that will require her to begin making speeches regularly. With her promotion Abby is given vacation time. She uses this vacation time to go to Ireland to kiss the Blarney Stone which purportedly when kissed bestows the gift of gab. When Abby’s mother decides to travel with her Abby must also confront her feelings of inadequacy compared to her courageous mother and “kind, sweet” sister. This short story arc most closely resembles the Heroine’s Journey described by Victoria Schmidt. For more on this arc, click here. Protagonist, Abby Mallon, enjoys working alone at her job which is not particularly exciting but allows her space for creativity. Abby is promoted out of the job she loves, and as a result of the promotion will have to begin public speaking, something she fears. Amidst this crisis, she tries to leave her husband because she feels unsatisfied in their marriage. Abby visits a poet and attempts to have an affair. Abby goes to Ireland with her mother for the sole purpose of kissing the Blarney Stone and being granted the “gift of gab.” Abby feels embarrassed in the company of her mother, who she feels is much more courageous than she is. Feeling lonely in Ireland, Abby thinks back to her former life and misses the comfort of her husband, feels that maybe it is not as bad as she thought it was. Abby’s mother goes to cross a bridge that Abby is too scared to cross herself — Abby feels despair at her cowardice and loneliness. Abby and her mother arrive at the Blarney Stone — the point of the journey. Abby is literally supported by a worker so she can lean back and kiss the stone. After Abby has kissed the stone, she sees her mother is terrified. Her mother attempts and fails to kiss the stone and Abby leads her back down the stairway. Abby realizes she is brave in her own way. 9. Return to the world and now sees the world for what it is; through her experience others are changed; reward is spiritual and internal, has new coping strategies.